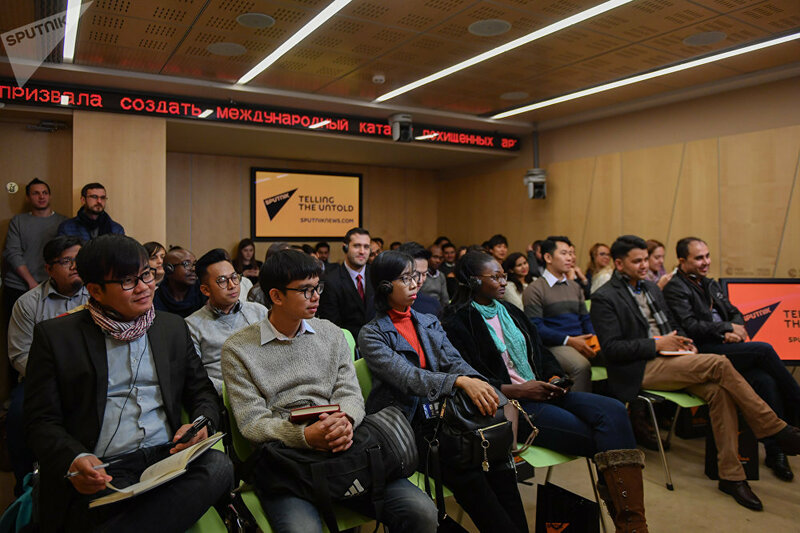 MOSCOW (SPUTNIK) - Today Sputnik news agency and radio is opening the SputnikPro international training session for young journalists and media managers. For four days, leading Russian experts will talk about the operation of modern multimedia news agencies and major trends in the global media industry. Journalists from 34 countries will take part in the Moscow session, record attendance for SputnikPro. They represent The Hankyoreh (South Korea), As Sabah (Tunisia), Nhân Dân (Vietnam) and Standard (Tanzania) newspapers, PNA (Philippines), SUNA (Sudan), WAM (UAE) and Nova (Italy) news agencies, Phoenix TV (China) and Aaj Tak (India) television networks, Channel Africa radio (South Africa) and several other media outlets. "One of the goals of SputnikPro is to provide a platform for young professionals to share experience and establish dialogues. We are really happy to see that the course attracted major media outlets from so many countries. I hope that the project will only grow in the future." "I am glad that I have been invited to the SputnikPro program because I see it as a great opportunity to expand my journalistic skills and to make new contacts with colleagues from international media. Since modern journalism relies on new technology, I have the biggest expectations from the workshop about new media and social media marketing." "I'm looking forward to learning new skills in reporting news (especially international news) and discover the difference between Arab and Russian news agencies. Furthermore, I am interested in staying updated to the new features that concern online media. Finally, I aim to build a collaboration between AlsumariaTV (Iraqi TV) and Sputnik ‘News Agency & Radio' for future works in news and online media." "I hope that by being involved in this program. I also can meet people from other country and share the experience with them and it can expand my experience and knowledge more. I also hope this program can make Indonesia and Russia relations became closer." Earlier, SputnikPro held two separate sessions for journalists from Turkey and Latin America. SputnikPro is an international project for journalists, students and press service workers designed to exchange expertise with foreign colleagues, develop international media communications and intercultural ties between journalists. SputnikPro for Latin American journalists is organized in cooperation with the New Generation program of the Federal Agency for the Commonwealth of Independent States, Compatriots Living Abroad, and International Humanitarian Cooperation (Rossotrudnichestvo). Sputnik is one of the largest international media companies offering country-specific and regional multimedia websites in 32 languages, analog and digital radio broadcasting in Russian, English and French in 130 cities and online. Sputnik newsfeeds deliver 24/7 content to leading international media around the world in English, Arabic, Spanish and Chinese. Sputnik websites get more than 50 million visitors. Twenty-two bureaus around the world, from Tokyo to Montevideo, employ more than 1,000 people from dozens of countries. 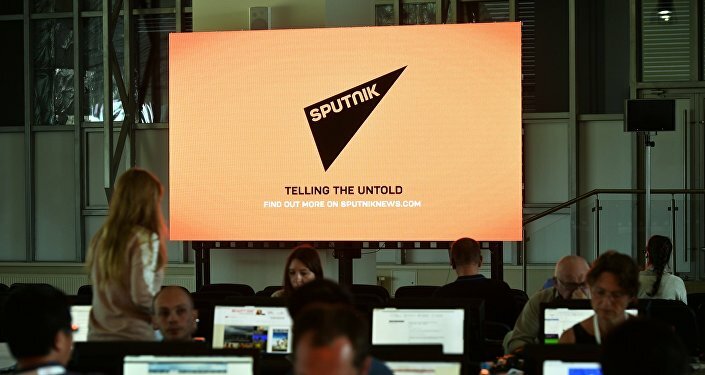 Sputnik is part of the Rossiya Segodnya media group with its headquarters in Moscow.